The following are some highlights of the many issues on which AIV is currently engaged. This information is updated periodically -- please note that the information below addresses selected issues carrying forward from past legislative sessions, and these sections will be updated and added to with additional issues as we approach the new legislative session. For more recent updates and for more information about these or other issues AIV is working on or that you would like addressed, don't hesitate to email us at info@aivt.org. Survey Requests. 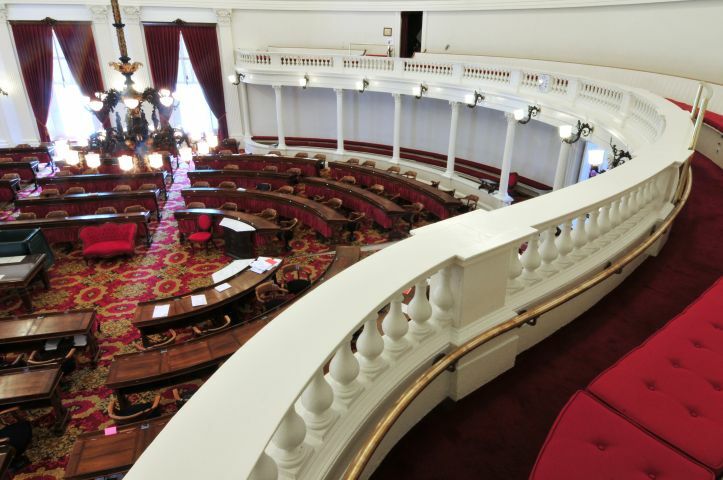 AIV is surveying Vermont employers on a number of key issues that will see action in the 2019 Legislative Session. These surveys are important to both raise awareness among employers but also help inform rulemaking and legislative debates heading into next year. Please take a moment to consider the surveys noted below. Energy Costs for Manufacturers and Others. In 2014, AIV convinced the legislature to require a report from the Department of Public Service and the Agency of Commerce on policy options to reduce the cost of electricity for Vermont manufacturers and other energy intensive businesses. AIV is continuing to work with these departments on the development of concrete proposals that build on and go further than ideas addressed in the report. AIV will be working with our Energy Task Force on these issues. If you are interested in more information about this issue, report, or our task force, please contact us at info@aivt.org. We are also collecting input and interest through the survey linked below -- we hope you'll take a moment to complete it. Drug Use and the Workplace. Earlier this year the Governor signed H.511 into law. The bill, which was passed by the Legislature earlier in January, legalizes possession of up to one ounce of marijuana and cultivation of two mature marijuana plants and four immature plants. The bill falls short of more aggressive proposals to legalize and regulate the sale and purchase of marijuana and consumption in public. Nevertheless, this step forward in legalizing marijuana will continue to be an important issue for manufacturers and other employers. Among the many issues raised by this question are workplace safety and hiring challenges facing Vermont employers. This is especially acute for manufacturers and companies relying on government contracts. Of particular concern, proposals under discussion to date have failed to address significant problems with Vermont's workplace drug testing laws. The question of reforming workplace drug testing is part of the ongoing charge of the Governor’s Marijuana Advisory Commission, particularly in the report and recommendations due this coming December. For more information on the commission, contact us at info@aivt.org. AIV is conducting a confidential survey of employers to ensure that these issues are part of the ongoing debate on further steps and to identify additional issues. Responses to this survey will be used only in the aggregate. We encourage you to complete this confidential survey, and please don't hesitate to contact us at info@aivt.org if you want to discuss this matter further. Complying with Mandatory Paid Leave. Legislation mandating most Vermont employers provide paid leave was enacted in 2016. AIV is working with employers and the Vermont Department of Labor to address implementation and compliance issues and questions. AIV was also actively engaged with legislation passed but vetoed this year to enact a much broader paid leave law, and will remain active on the issue in the coming year. If you have interest in any of these areas, we encourage you to contact us for more information. Broad New Chemical Regulations and Legal Liabilities. Legislation was passed by the Legislature during the last legislative session that would have enacted a number of new chemical and product reporting and other regulatory provisions, as well as impose a number of new legal liabilities on manufacturers and other companies. AIV worked successfully to help forestall this legislation in 2017 and 2018, with a gubernatorial veto this year, and is leading efforts to continue engagement on these issues this coming year. We are also coordinating engagement between manufacturers and the newly created Interagency Committee on Chemical Management to develop more rational and helpful reform of chemical regulations. All manufacturers, retailers carrying chemical or consumer products, and related businesses are strongly urged to contact us at info@aivt.org to learn more about how these proposals could impact your company and different opportunities to stay informed or get engaged. Check back soon for a related survey. Chemicals in Children's Products. In 2014, Vermont enacted a new law governing chemicals present in products marketed for children. The law has extensive reporting requirements and provides for potential restrictions or bans on specific chemicals or products. Proposals to expand the law beyond children's products and initial chemicals have been introduced or discussed in recent years and could return this coming legislative session (see chemical issue above). AIV is leading a coalition of Vermont employers and national trade associations in engaging on implementation of the current law and preparing to address any legislation expanding it or making related changes. We encourage all manufacturers to contact us at info@aivt.org to learn more about the law, whether they are currently covered, and how they might be impacted by any expansion in the future.